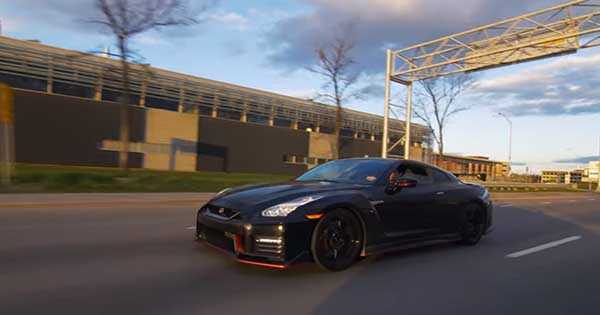 JESSE From FAST & FURIOUS Takes Nissan GTR Ride! - Muscle Cars Zone! JESSE From FAST & FURIOUS Takes Nissan GTR Ride! The car industry is the most advanced as it ever was and though most say that nothing can beat those classic cars, we think that a 2017 Nissan GTR ride will do the job. We are all familiar with the car from the legendary movie Fast and Furious. But not everybody had the chance to be driven, let alone drive, in such a car and in the following video we take a look at what it looks like when you get inside it and have a spin for the first time. And that man is Chad Lindberg who played Jesse. Namely he had never sat in such car and this R35 is surely something you would not want to miss. These guys picked him up at a Paul Walker memorial meet in Quebec and took him for a ride. Even at first glance he was super excited about the whole situation and started live streaming right away. They head off toward the strip for some quality time. Just couple of minutes after they arrive at the place and the fun can begin. They chat about Chad`s experience with cars and movies in the meantime while shortly after we can see the Nissan GTR ride in action. This beast is absolutely insane and the sound it creates is mesmerizing. It accelerates with ease and it reaches staggering speeds in just seconds. Chad is super impressed but at the same time afraid from the car. What do you think, would you ever want to ride in such beast? Finally, check out this amazing Nissan GTR gallery!